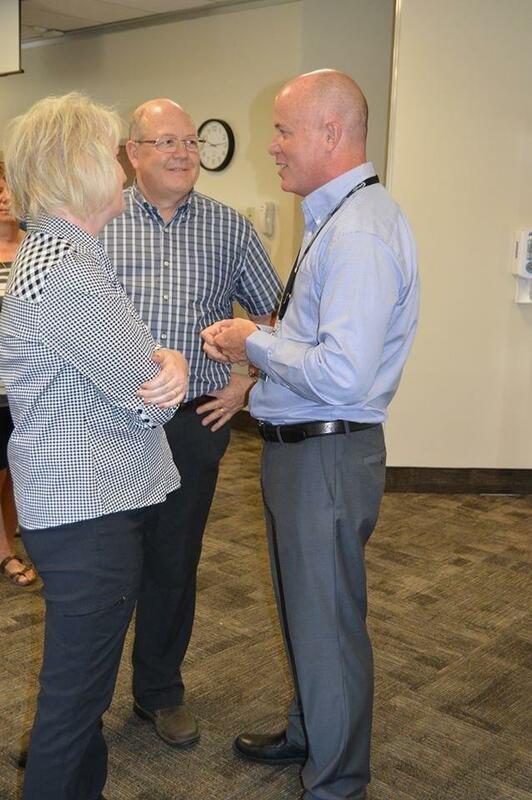 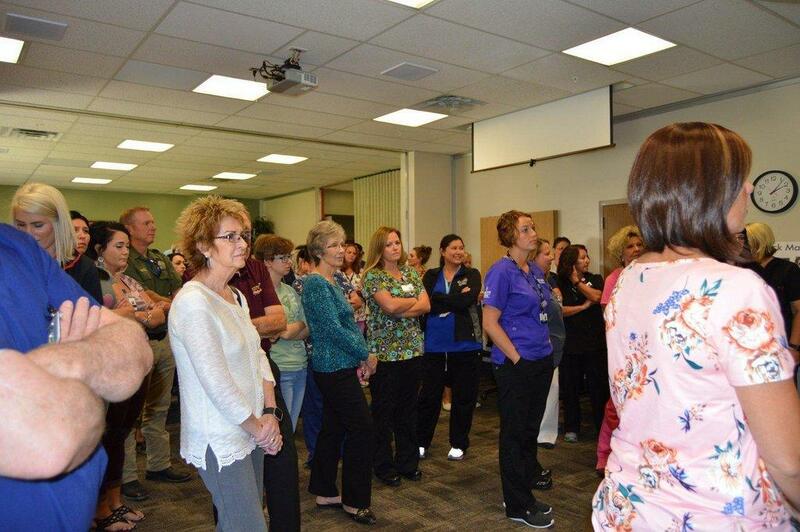 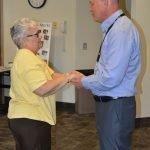 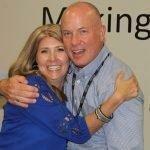 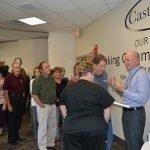 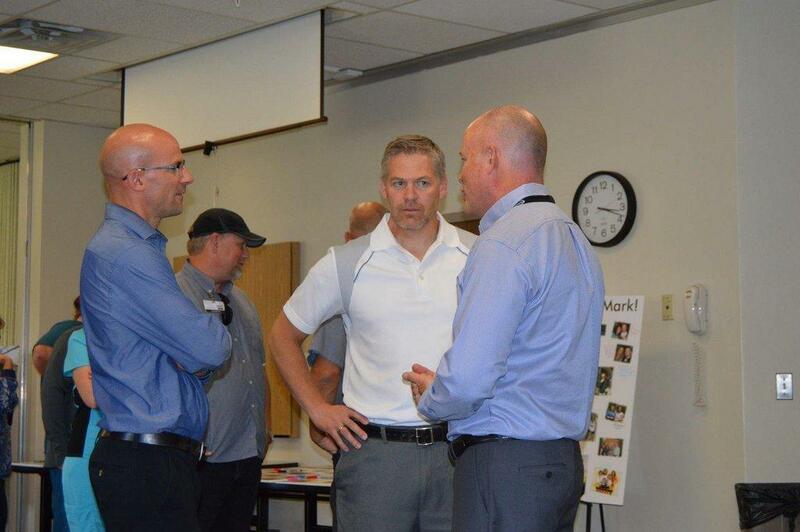 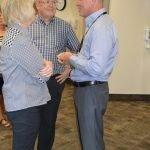 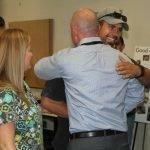 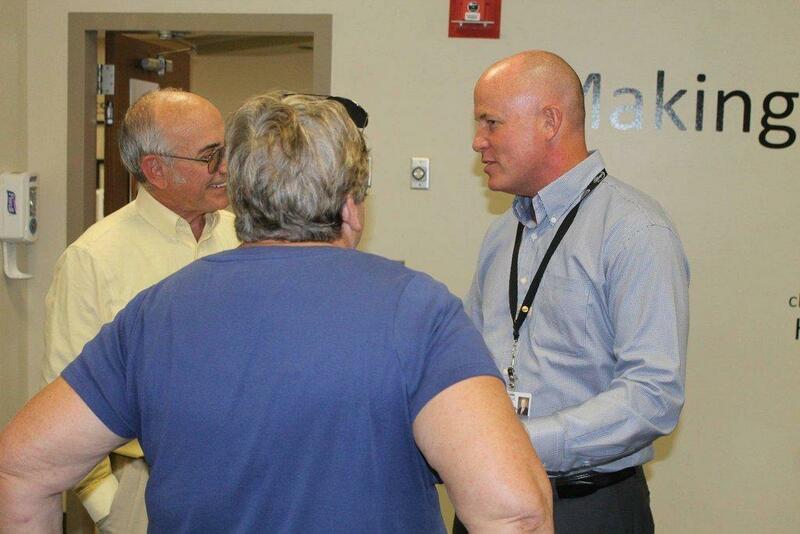 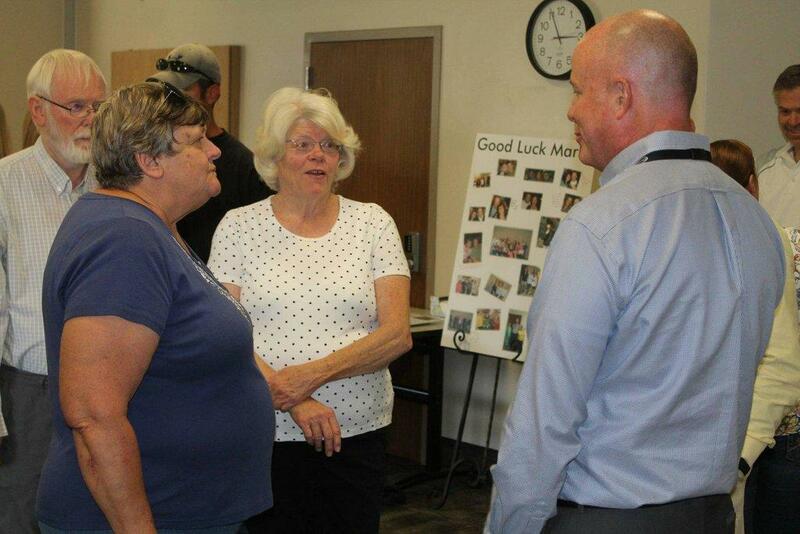 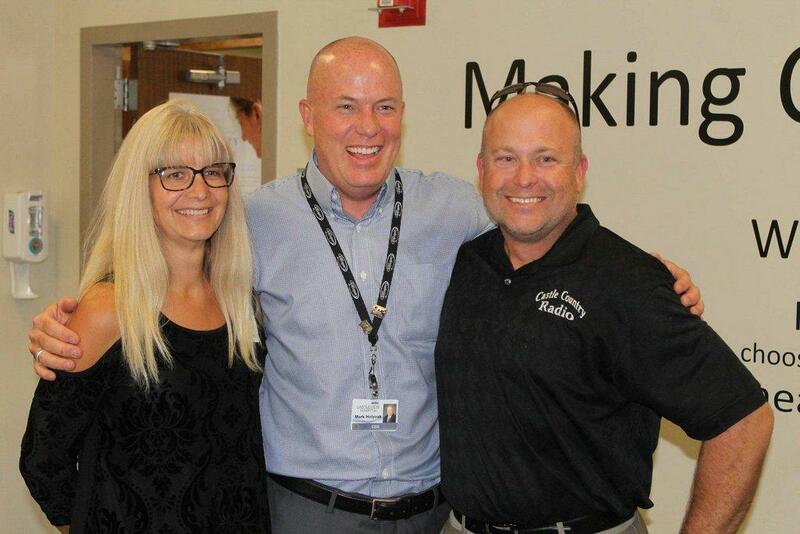 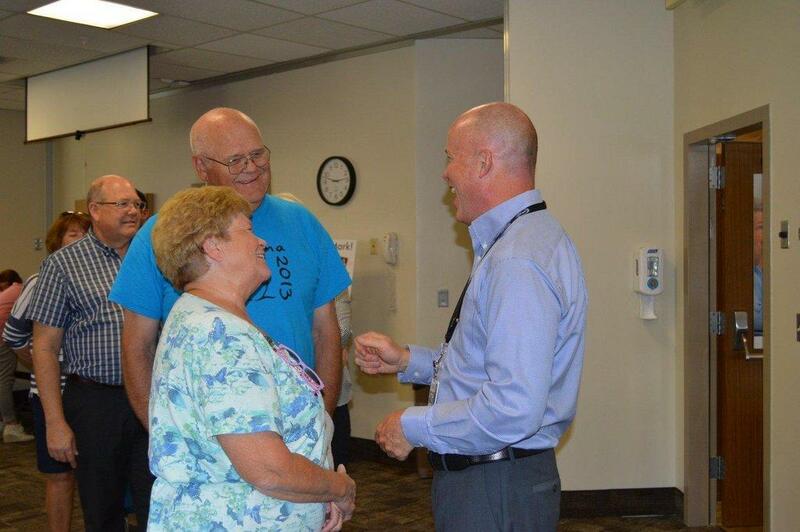 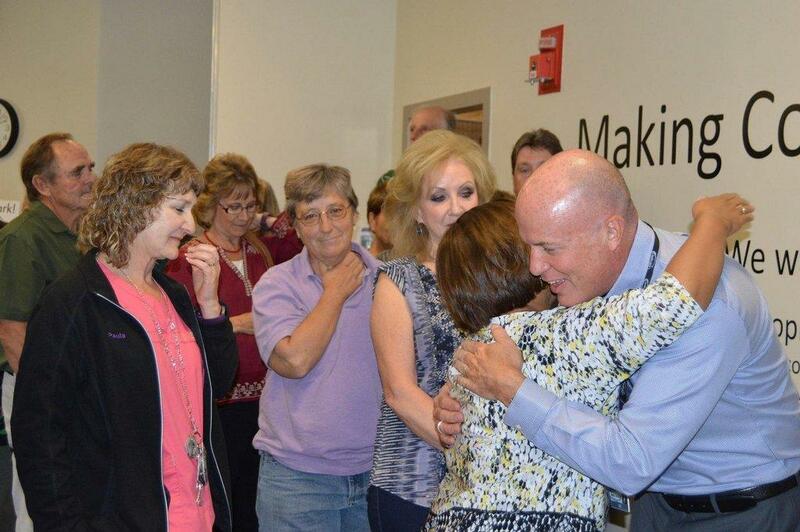 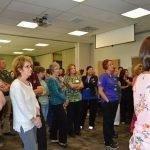 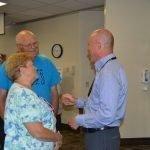 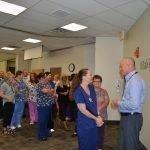 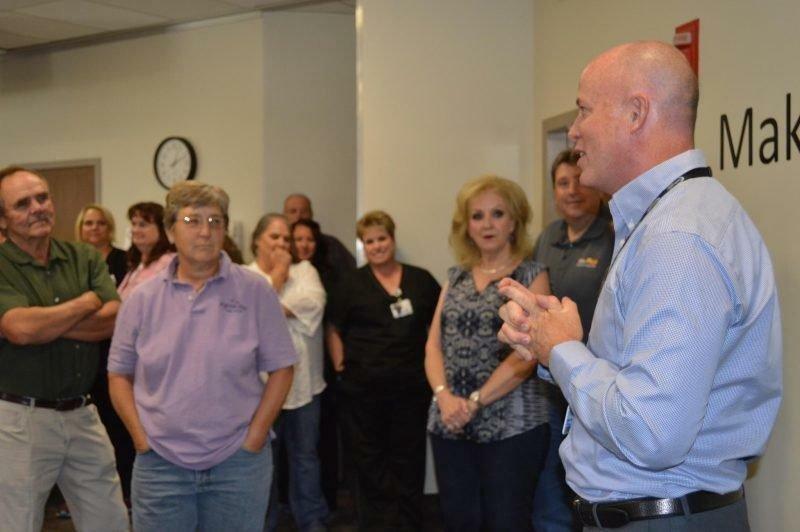 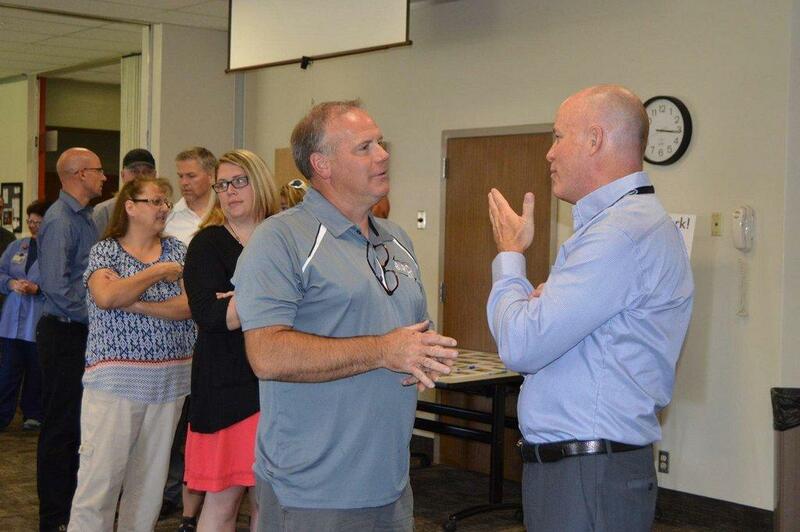 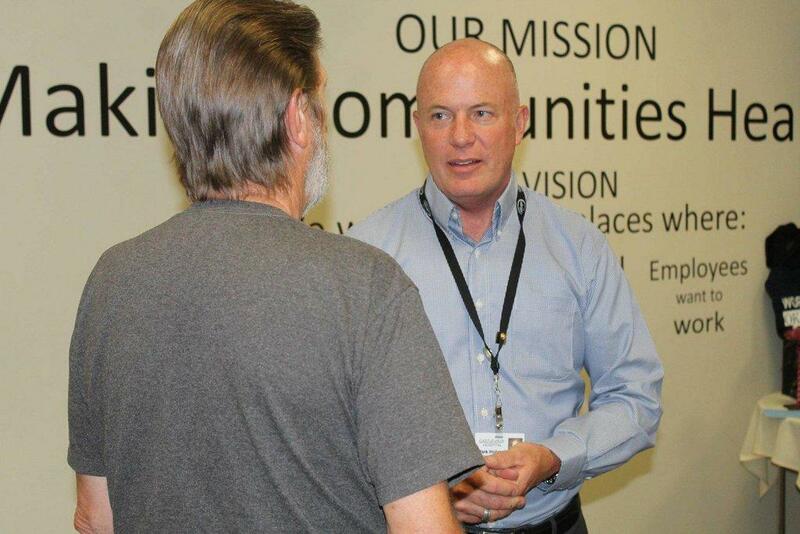 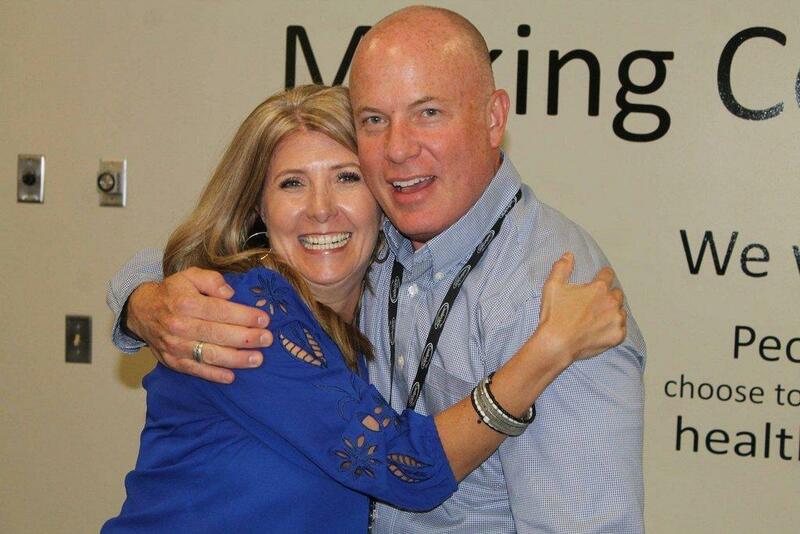 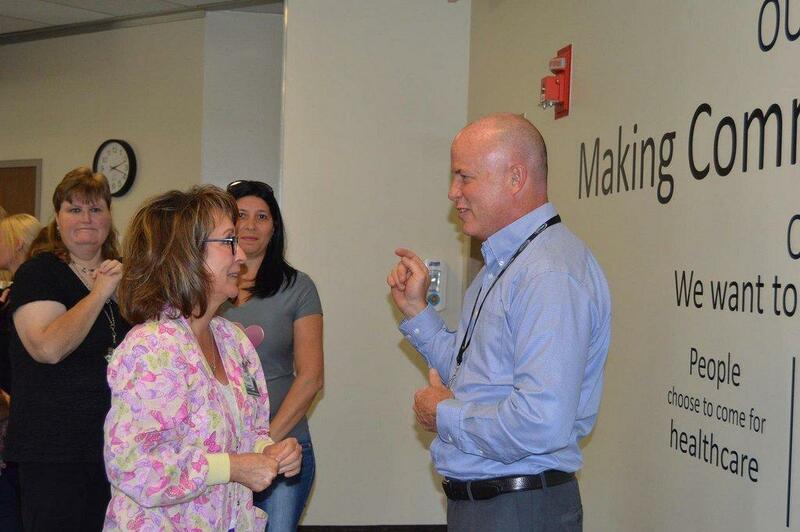 Castleview Hospital CEO Mark Holyoak said his final farewell to hospital staff, friends, family and members of the community during a party hosted in his honor on Thursday. 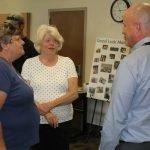 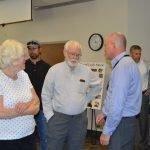 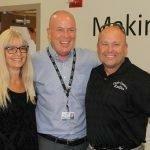 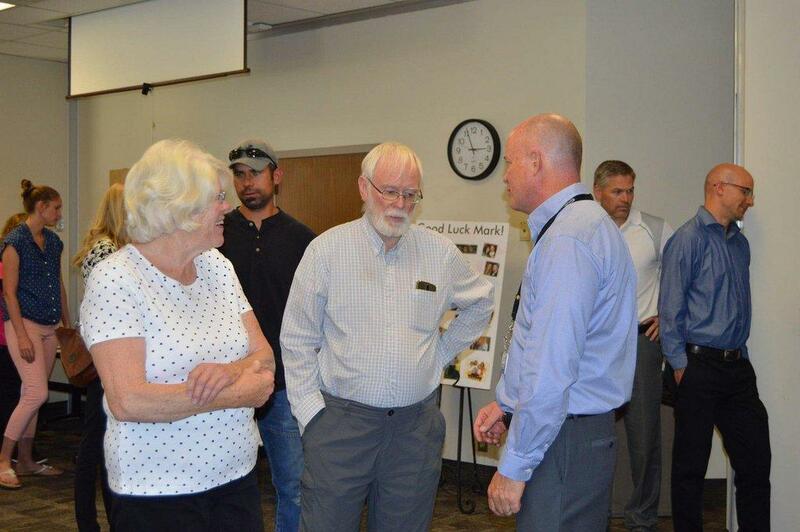 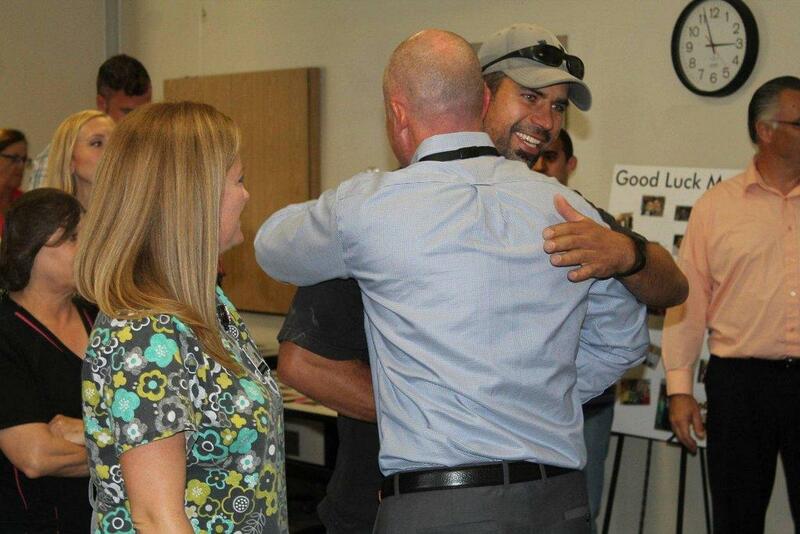 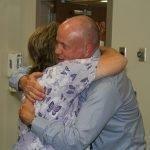 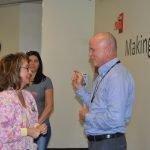 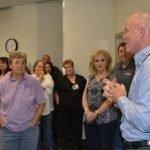 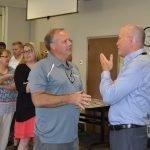 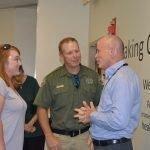 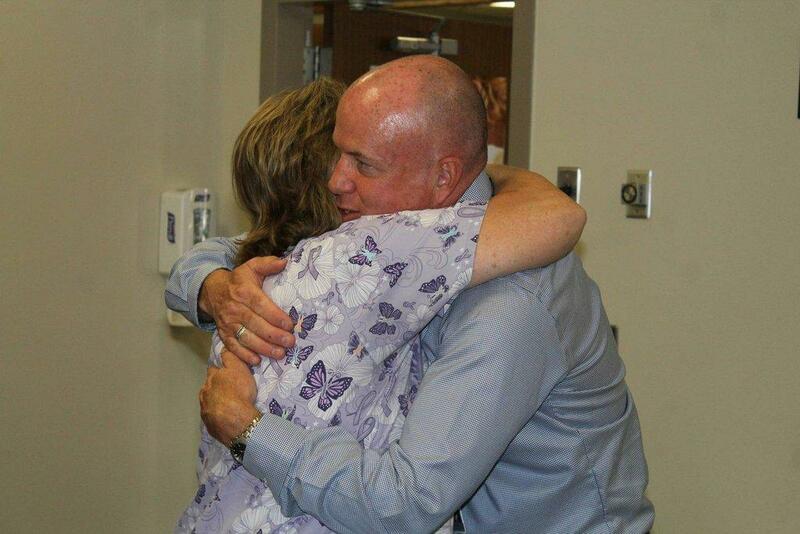 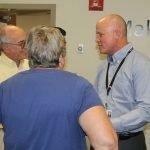 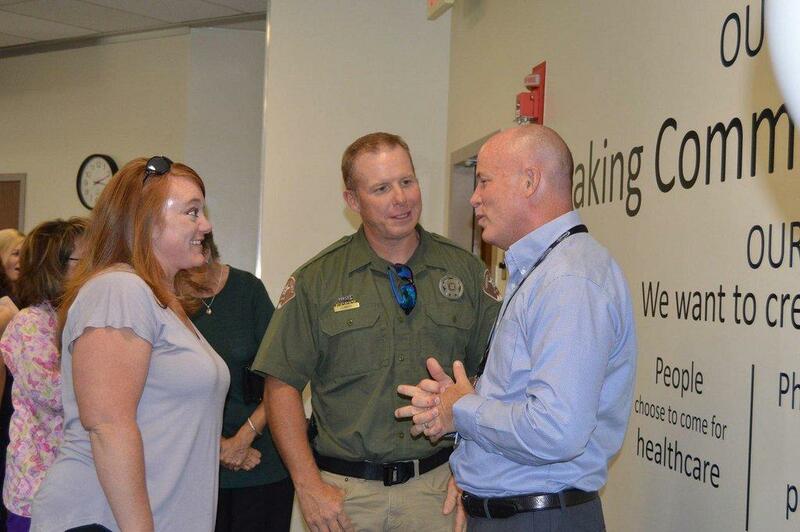 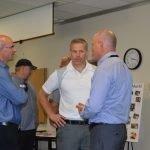 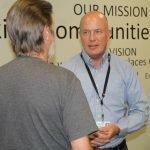 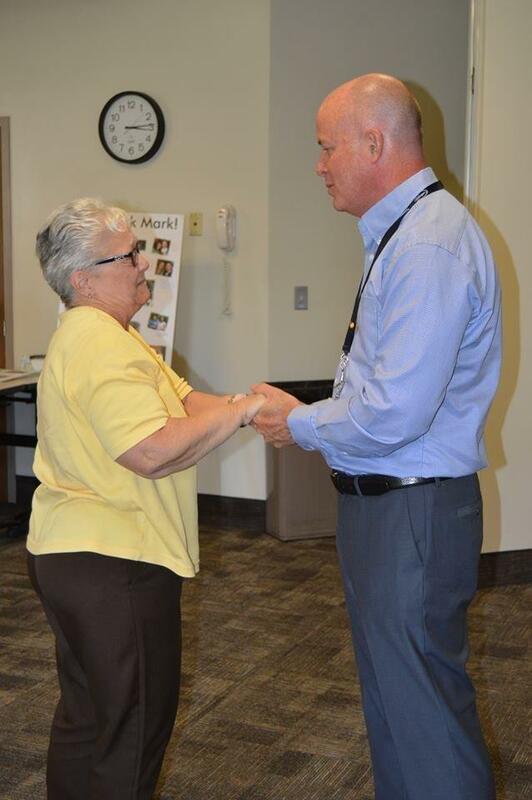 The hospital hosted the event to thank Holyoak for his years of service to the entity and the community. 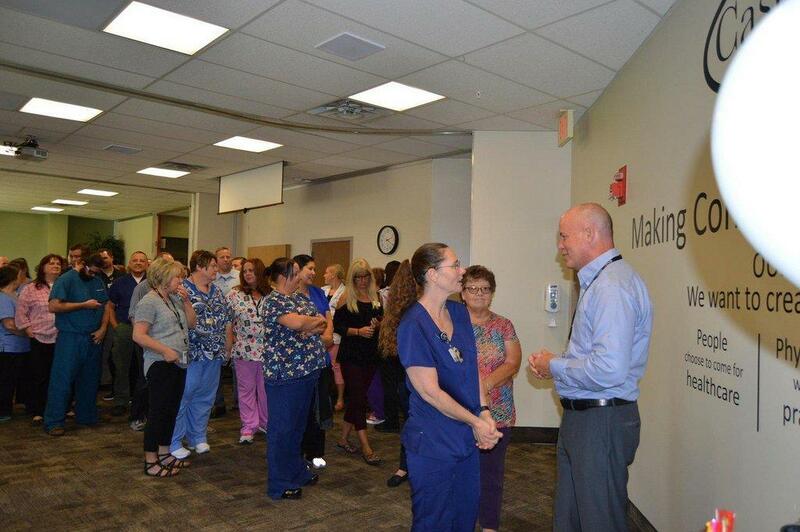 In August, it was announced that after more than eight years serving as the hospital’s CEO, Holyoak would work his last day on Friday. 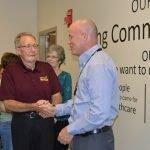 He will continue his career at Wilson Medical Center in Wilson, North Carolina, where he will serve as the CEO. 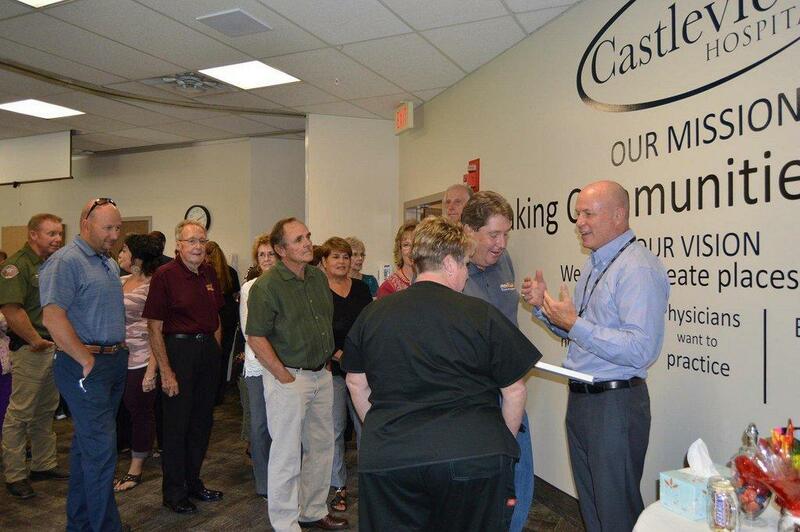 During Holyoak’s stint at Castleview Hospital, he led the recruitment of numerous physicians. 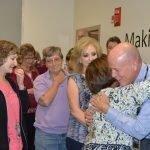 He was also at the helm when the hospital, along with its hardworking staff, earned the title of Duke LifePoint Quality Affiliate. 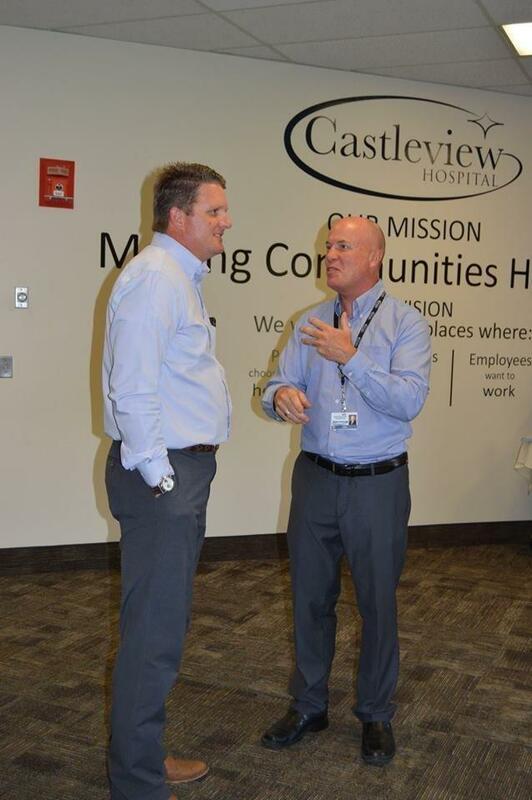 Other milestones during Holyoak’s time at Castleview include the remodeling of the hospital as well as the opening of the organization’s pharmacy and urgent care facility. 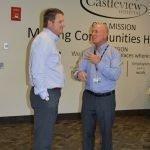 Until the hospital chooses a permanent CEO, Jerry Dooley will join the Castleview Hospital team to serve as the interim CEO. 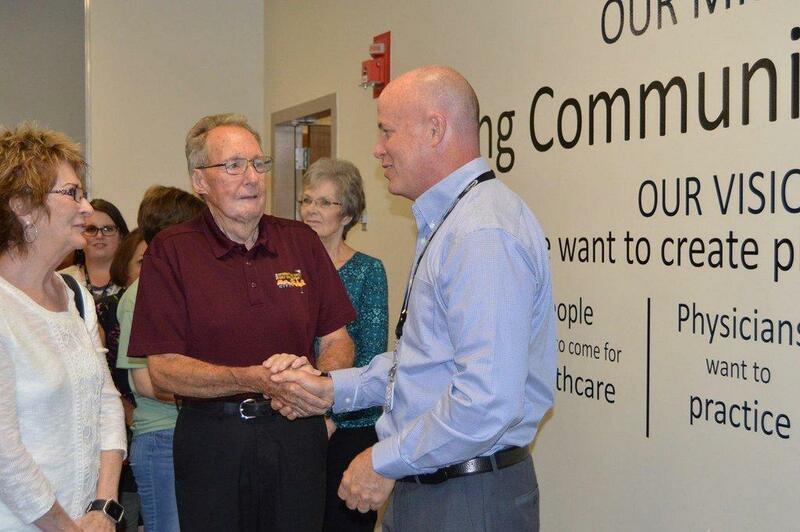 Dooley’s work will begin on Sept. 12 and will continue until a permanent replacement is named.